We really believe that no job is too small or too big for us to handle. In fact, we take so much pride in our work that everything we do comes with a one year warranty. We're that confident in our services and our staff. We work hard to make sure that we are reliable and affordable for everyone. 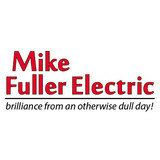 Mike Fuller Electric, a Residential and Commercial Electrical Contractor, is a family owned and operated business who have been serving the Ottawa area for 30 years! We specialize in rewiring older homes to make them safe, more functional, and more energy efficient. As a fully insured and licensed company, we offer our professional knowledge to perform full Electrical Home Inspections and Electrical Audits. We can help turn your kitchen, bathroom, and basement into the room you’ve always wanted, or add the final touches to your pool, deck, and patio! All of our work is performed by our professional licensed electricians and exceeds the standards set out by the Ontario Electrical Safety Authority. We have a 36-foot extend bucket truck to help with those hard to reach places around your home, along with parking lot lighting, and sign work. We offer many other electrical services to both residential and commercial needs! Whether the job is big or small, we commit 100% effort into every project we take on. Your satisfaction is our guarantee and we offer a 1-year warranty on all our services. We look forward to working with you during your next electrical project, problem, or questions! We are a Ottawa based electrical contracting company. Specializing in residential and commercial applications. Electrical Contractor Located in Ottawa West. Serving Residential, Commercial, Industrial and Institutional. 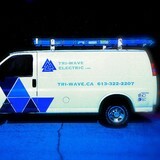 Services Calls, Fit-ups, Renos, Pot Lights, LEDs, E.V. Charging stations. No job to o or too small. Fully Insured and Licensed. Serving Ottawa, Kanata, Stittsville, Carp, Dunrobin, Constance Bay, Barrhaven, Nepean, Richmond, Carleton Place. As a Generac Authorized dealer, Robert Electric Ltd. of Cumberland, ON brings you peace of mind with a full line of reliable Generac products backed by world-class service and support. Explore our product selection, then contact us so we can help you select the Generac solution that's just right for you. Emergency power systems that can back up your entire home or business, or just the most essential circuits. Portable power products that let you take your electricity where you need it most, whether it’s a tailgate party or a construction site. Power washers that make it easy to tackle even your toughest cleaning projects. Founded and operated by electricians, Three Codes consistently delivers on our promise to provide the best residential electrical services in the Ottawa area. With over 14 years as licensed electrical contractors, we believe success results from pairing traditional service values with cutting edge technology solutions. Our architectural design certified experts invest the time to clearly understand individual requirements, design aesthetics, and energy goals, resulting in customer satisfaction. When it comes to Electrical Repairs, Electrical Panels and LED Lighting, no one compares to Fahey Electric. With years of combined experience, Fahey Electric has worked hard to build the trust of our clients in Ottawa and beyond. Visit our website to learn more. Or better yet, click the link and call us today! Whether you are a homeowner, a property manager, or a business owner, we can provide for all of your electrical needs at competitive prices. Our elite Ottawa Electrician team consists of Red Seal Electricians, Master Electricians, Engineers and certified Technicians that offers a vass amount of knowledge and experience in the industry. We take great pride in our clients and the people we work with. Be assured you are in good hands when choosing Precise Electrical Solutions Inc. Hours: Mon-Fri: 8am-5pm, Sat-Sun: Closed As an experienced and professional electrical contracter, we offer a complete range of service. From new installations, retrofit projects and service work for existing equipment. We also offer a 24/7 on call service to our customers. When electrical projects within your business or home are giving you crossed wires, let Copperhead Electric show you the light. Serving Ottawa and the surrounding area with pride, our family-run business has more than 45 years of experience in the trade and is fully equipped to assist you with residential and commercial projects of all sizes. Our staff is fully licensed and insured to protect you, and all of our work is guaranteed for one year. We also honour all warranties from major manufacturers. Combining years of experience with a dedication to client satisfaction, Burwash Electric has established itself as the local leader in Electrician, Emergency Electrician and Commercial Electrician. Electrical and wiring done properly by some of the highest trained professionals in the business. We have over 30 years of service in the Ottawa area and are meticulous with our work so that you can sleep well at night knowing your house is safe and professionally wired to the highest industry and safety standards. 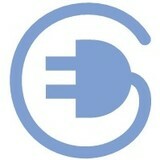 Servant Electric was founded and operated in 1951 by Nozemod Servant. After his passing in 1955 the company’s situated head office on 219 Bruyère Street continued its operations with Mrs Alice Servant, Donald and Maurice Servant. During those years most work was residential, and Servant Electric was part of that era were most of the work consisted of wiring houses and repairs. In the 60’s when the commercial and industrial sectors started growing and the economy evolving, Servant electric took part of that as well and opened its second branch in Gatineau (Hull) in 1960 by becoming member in “Corporation Des Maîtres Électriciens Du Québec”. At that time Donald had taken over the operations of both the Ontario and Quebec offices, by becoming the President of Donald Servant Electric Limited in Ontario, and Entreprises d’Électricité Donald Servant (Québec) Ltée., and still is today. And his brother Maurice is the Senior Project Manager and Security officer responsible of all field operations, and project management. Today our client database is composed of but not limited to, residential customers, private sector, commercial and industrial sectors, and the government sector(on the Municipal and Federal levels), which is one of our largest clients. Today with the help of our employees who range from 25 to 35 years in the company we pride ourselves for offering and performing the best service possible and aim to please our customers by providing personalized communications. What do licensed Nepean electricians do? An electrical contractor plans, installs and repairs wiring in structures. He or she works closely with the home’s general contractor or remodeling contractor to determine the specific electrical needs for the project and to ensure that the wiring will meet Nepean, ON building codes. An electrical contractor’s job also includes installing and repairing fixtures, switches and other visible components of electrical systems. With today’s technological needs and advances, many electricians in Nepean, ON also are trained to install fiber optic and coaxial cables for electronic equipment. Certain electrical companies may design and install data systems and wire for security features such as alarms too. Some Nepean electrical contractors specialize in specific areas, such as HVAC, low-voltage appliances and systems and more, so be sure to ask about their training to see if it fits your project needs.